Anyone who has been on a comic convention floor in the past 20 years knows there are a lot of superhero fans who wish they could be Deadpool. 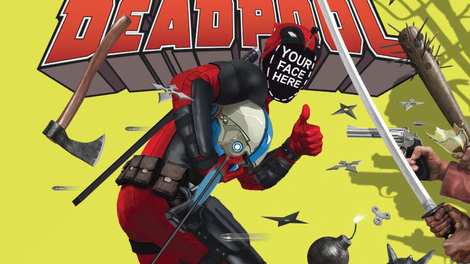 Marvel gives them the opportunity to step into Wade Wilson’s shoes in You Are Deadpool, an interactive weekly miniseries that combines a choose-your-own-adventure story with a dice-based role-playing game. It’s an ambitious endeavor from writer Al Ewing, artists Salva Espin and Paco Diaz, and colorist Guru-eFX, who take readers on a very meta, very funny journey through ’60s, ’70s, and ’80s Marvel Comics. Readers have multiple options for how to proceed through the story, which uses other game elements like Deadpool Dice, badness/sadness scores, and inventory objects to influence decisions. For the past five years, Al Ewing has been Marvel’s most consistently strong writer. He wrote a sprawling, sorely underrated run on Avengers that spanned seven titles—Mighty Avengers, Captain America And The Mighty Avengers, The Ultimates, Ultimates2, New Avengers, U.S.Avengers, and the collaborative “No Surrender” story in Avengers—and actually succeeded at making the Inhumans compelling in the pages of Royals. He’s a writer who builds on the past while taking characters in exciting new directions, which requires a deep understanding of continuity and the ability to make this history accessible for new readers. You Are Deadpool takes full advantage of that skill as Deadpool is swept through the time stream. There are some very deep cuts in these pages, including appearances from Rufus “Super-Midnight” Carter, The Arranger, and a recurring gag featuring Grasshopper, a joke superhero who originally debuted as part of the Great Lakes Avengers and is reinterpreted for different Marvel time periods. Ewing’s work expertly balances comedy and drama, making his books joyful reads that still have high emotional stakes. 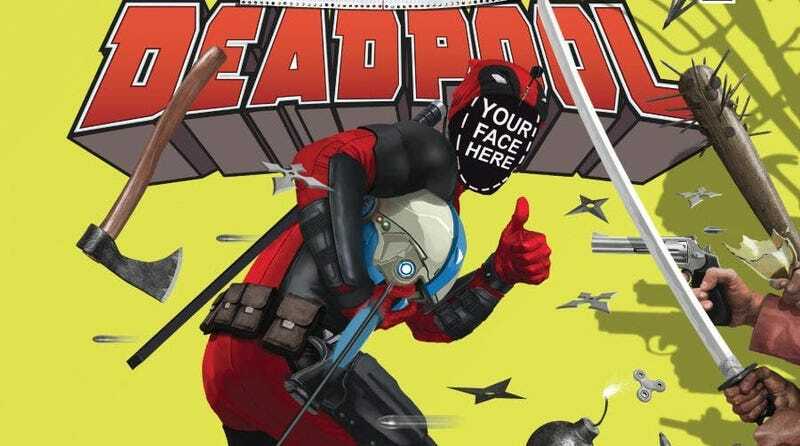 You Are Deadpool obviously leans more into the comedy, but it still has an element of pathos as Deadpool considers the implications of this out-of-continuity adventure on his relationship with his daughter. The stand-out issue is You Are Deadpool #4, riffing on gritty ’80s comics while also praising/rebuking the extreme ’90s comics, depending on which path the reader takes. Featuring the best art of Diaz’s career, this chapter gives him the opportunity to blend wacky comedy and chaotic action with a splash of Liefeldian excess. It’s a pity that the sales of Ewing’s books haven’t matched their quality. As good as his Avengers run was, his titles played second fiddle to the main Avengers series and were regularly hijacked by crossovers. He took over the Inhumans after readers were fatigued by Marvel trying and failing to make those characters popular for years. He’s been dealt a bad hand a lot of the time, but Marvel giving him a weekly Deadpool miniseries released the same month as Deadpool 2 suggests that the franchise is starting to realize his value. His new series, The Immortal Hulk, debuts this week, and while the Hulk isn’t a top seller, Ewing is moving up the ranks of Marvel heroes. He’s been the publisher’s secret weapon for half a decade; now he just needs a big-name project with a superstar artist to bring his talent to the masses.